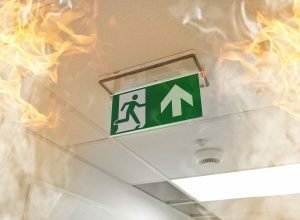 eBrit Fire Protection are one of the largest Passive Fire Protection contractors in London and the South East of England. 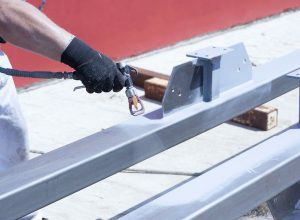 We can help you with all of your Passive Fire Protection requirements and have successfully completed contracts large and small on budget, on time and with complete customer satisfaction. Simply give us a call on 01895 881 125 or fill out the form and we will show you how we can help you with your next project. Passive Fire Protection is the use of fire-resistance rated materials in walls and floors to prevent or slow the spread of fire. Contrary to active fire protection measures, passive fire protection means do not typically require electric or electronic activation or a degree of motion. firewalls not only have a rating, they are also designed to sub-divide buildings such that if a fire occurs on one side, this will not affect the other side. They can also be used to eliminate the need for sprinklers, as a trade-off. 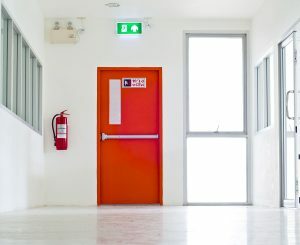 Fire doors are a crucial part of the passive fire protection of every commercial, public and multiple occupancy building.